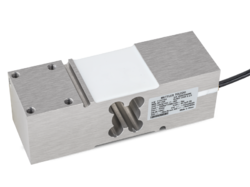 Double-Ended Shear Beam Load Cells Sensortronics Model 65058 has rated capacities of 10,000 to 500,000 lbs., is center-link loaded. Model 65058S stainless steel, welded seals version available, 65058-TSA companion assemblies for vehicle scales, 65058-TWA companion assemblies for vessel weighing. 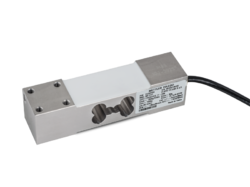 Double-Ended Shear Beam Load Cells Sensortronics Model 65058 is trade certified for NTEP Class IIIL: 10,000 Divisions, Class III: 5,000 Divisions and OIML 3,000 Divisions in 20,000 to 200,000 lb. 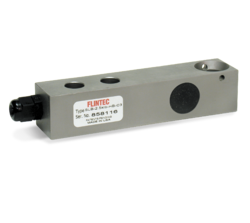 range and is Factory Mutual System Approved for Classes I, II, III, Divisions 1 and 2, Groups A through G.
We are offering premium quality range of Flintec PC6 Load Cell that is used in different industries. A load cell is a transducer that is used to create an electrical signal whose magnitude is directly proportional to the force being measured. The various types of load cells include hydraulic load cells, pneumatic load cells and strain gauge load cells. Through a mechanical construction, the force being sensed deforms a load gauge. The strain gauge measures the deformation as a change in electrical resistance, which is a measure of the strain and hence the applied forces. These load cells are widely used in Bagging Machine, Packing Machine & check weigher applications. 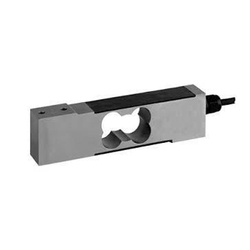 We are offering Sensortronics Beam Load Cell. 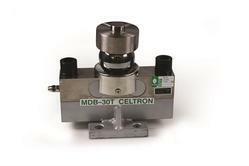 Model 1010 is a single point load cell designed for direct mounting of low cost, low capacity weighing platforms. Its use in large platforms, combined with its high accuracy and low cost, makes this load cell ideally suited for a large range of weighing applications, including bench scales and counting scales. A special humidity resistant protective coating is available which ensureslong-term reliability. For hazardous environments this load cell has EEx ia IICT4 level approved option. Model 1010’s built-in overload stop canprovide mechanical protection against overloading. The two additional sense wires feed back the voltage reaching the load cell.Complete compensation of changes in lead resistance due to temperature change and/or cable extension is achieved by feeding this voltage into the appropriate electronics. 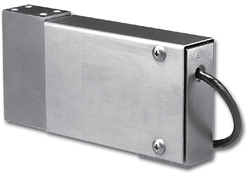 The type SLB is a stainless steel beam type load cell with an improved potting. It is suitable for use in industrial environments. 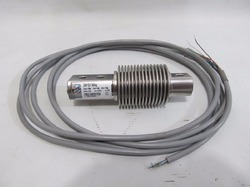 The load cell is provided with a shielded, 4 conductor cable (AWG 24). 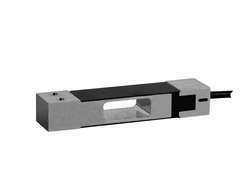 We are offering Single Point Load Cell. MT1241 provides the best weighing performance for bench scales and smaller floor scales in its capacity range. With a low profile design, cost optimization and an attractive product appearance can be achieved. One load cell can be used to support a weighing platform and, due to the off-center load compensation, the MT1241 will weigh within tolerance regardless of load application point. MT1241 allows 50% static overload without compromising the weighing performance. The passivated aluminium provides good corrosion resistance suit-able for many industrial applications. The MT1260 is the ideal solution for floor scales and smaller hoppers. Due to the low profile the integration into any system is easy. The broad capacity range and large platform size allows wide usage in industrial weighing applications. One load cell can be used to support a weighing platform and, due to the offcenter load compensation, the MT1260 will weigh within tolerance regardless of load application point. MT1260 allows 50% static overload without compromising the weighing performance. The passivated aluminium provides good corrosion resistance suitable for many industrial applications. The type PC1 is an SS Load Cell with an improved potting. It is suitable for use in industrial environments. These are also available in ATEX version with PESO approval for Gas applications. 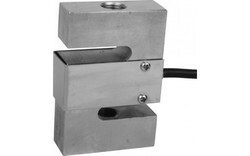 The type PC42 is an aluminum single point load cell with an improved potting. The load cell is provided with a shielded, 6 conductor cable (AWG 26). 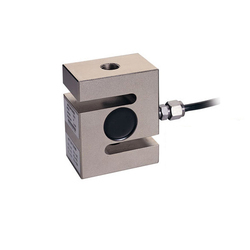 The Single Point Steel Load Cell is a low profile high precision, stainless steel, single point platform load cell. This products low profile makes it ideal for many low to mid-range capacity weighing applications where space is at a premium. 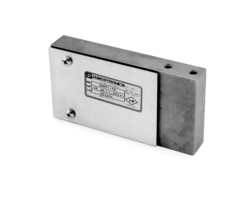 This load cell is most commonly used in platform scales but can be adapted for use in many process weighing applications. The stainless steel construction and IP67 sealing make this load cell ideal for very harsh environment applications. This load cell is specifically designed for use in corrosive and wet environments that are not appropriate for common aluminum load cells. This product is rated intrinsically safe by the Factory Mutual System (FM); making it suitable for use in potentially explosive environments. Capacity Available: 4.5, 7, 9, 11, 22.5, 45, 90 Kgs. We are offering Mettler Toledo Make S Type Load Cells. 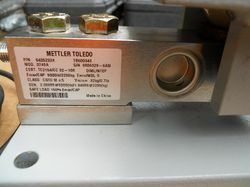 We are offering Mettler Toledo S Type Load Cell. Vehicle Weighing: Use the 0782 load cell in a new truck, railroad track, and other heavy capacity weighbridge applications or as a replacement for cells in an old weighbridge to enhance its performance. The 0782 is ideally suited to this application. Tank Weighing: The capacity range from 20 t to 300 t allows the weighing of big tanks and silos with ease. The stainless steel design (20t–200t), hermetic sealing and IP68 protection provide the best reliability in tank weighing applications. Gauge mount Module: The optional Mettler Toledo Gauge mount (20t–100t) weigh module adds suspension, checking and anti-tipping to your 0782 load cell and includes top and bottom mounting plates to simplify installation. Available in nickel plated mild steel or stainless steel. The 0782 is approved for use in various applications in Europe, Asia, America and almost everywhere else in the world. If an approval is required, the 0782 probably already complies.The 0782 load cell is even approved for hazardous areas. 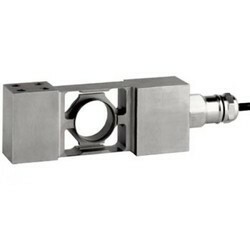 Model 355 is a welded Bending Beam Load Cell manufactured in stainless steel. Hermetically sealed against moisture the model 355 construction and polyurethane shielded cable enables the load cell to function in harsh environments while maintaining its operating specifications. The low profile, high accuracy, and sealing make this load cell highly suitable for applications such as low profile platforms, weighing and packaging machines, conversions of mechanical scales and a variety of other applications where sealed cells are required. The two additional sense wires feedback the voltage reaching the load cell. Complete compensation of change in the lead resistance due to temperature change and/or cable extension is achieved by feeding this voltage into the appropriate electronics. We offer CAS Korea make Miniature Button Load Cells. 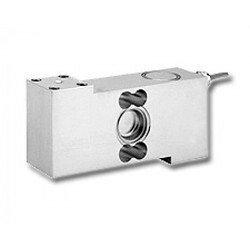 The size is very compact and very useful for applications where size of load cell is a concern. The VPG Celtron MDB alloy steel, double-ended beam load cell is popular in many parts of the world for use in truck scales. The load cell is a double-ended shear beam for long life and includes the ball and cups. Capacities range from 10 Ton to 50 Ton. The 0745A is approved for use in various applications in Europe, Asia, America and almost everywhere else in the world. If an approval is required, the 0745A probably already complies. Even if needed for hazardous areas later, the 0745A is already prepared. provides maximum applicability and safety in these applications. weighing applications in harsh environments in process and food applications. The optional METTLER TOLEDO MultiMount™ weigh module allows one to convert an existing system into a precise weighing system. It is ideal for applications such as tank scales, belt scales and conveyor scales. Available in zinc plated steel or stainless steel. 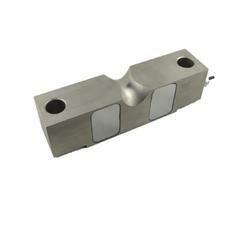 0745A load cells are made from stainless steel and hermetically sealed by laser welding. This protects the load cell from damp for the best stability and measuring performance. 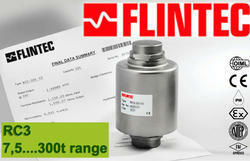 We offer complete range of Flintec Load Cells. 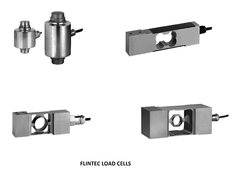 These load cells can be used in various application. The type PCB is a stainless steel single point load cell with complete hermetic sealing. It is a perfect fit for use in harsh industrial environments. Bench and floor scales, packaging machines and conveyor scales. The load cell is provided with a shielded, 6 conductor cable (AWG 26) or with a shielded, 4 conductor cable (AWG 24). DESCRIPTION Model 240 is specifically designed to be used where fast acquisition of a stable load signal is paramount. The Model 240’s unique fluid damping system allows the load cell to be used in applications that previously required the use of LVDT’s or similar types of measuring devices.The Model 240 brings load cell adaptability into check weighing and grading applications. Approved to OIML R60 and NTEP standards, sealed to IP66 level and available in coated steel or stainless steel, the Model 240 is suitable for most wash-down applications. The two additional sense wires feed back the voltage reaching the load cell. Complete compensation of changes in lead resistance due to temperature change and/or cable extension, is achieved by feeding this voltage into the appropriate electronics. 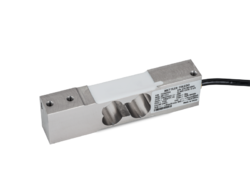 The type PC22 is an aluminium single point load cell with an improved potting. 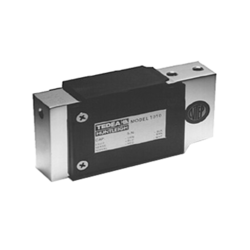 Model 1510 is a high accuracy single-point load cell ideally suited to industrial applications which undergo regular washdown, typically platforms, wall scales and other process weighing applications in the food industry. Hermetically sealed against moisture, the all welded construction of the 1510 in combination with a polyurethane dual shielded cable, enables continuous operation in harsh environments while maintaining a high operating specification. due to temperature change and/or cable extension, is achieved by feeding this voltage into the appropriate electronics. DSC2 - A digital version of the ASC2 which offers improved communication options. The type RC3 is a stainless steel self centering rocker column load cell with complete hermetic sealing. It is a perfect fit for use in harsh industrial environments. The load cell is provided with a shielded, 4 conductor cable (7.5 to 22.5 t: AWG 24; 30 t + 40 t: AWG20 or AWG24; 50 t or higher: AWG 20). The precise Z6 bending beam load cell, developed by HBM in 1972, has been continuously optimized for decades. Z6 is based on the strain gauge technology. It is available in nine different versions with maximum capacities that range from 5 kg to 1 t. The load cell with the characteristic bellows has become a worldwide standard, with millions of load cells having been sold. It is employed in platform and conveyor scales for dosing and level measurement as well as in weighing modules that, for instance, are used for tank weighing applications. The metal bellows protects the load cell against the ingress of moisture. 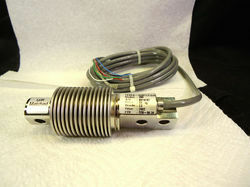 The Z6 load cell has been optimized for connection in parallel. An IECEx-ATEX-compliant explosion-proof version is also available. 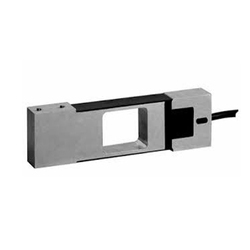 We are offering Single Point Aluminum Load Cell. 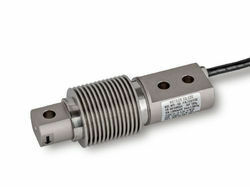 The Sensortronics Single Point Load Cell - 60048 is a high precision, stainless steel, single point platform load cell. This product’s availability in capacities ranging from 25 to 1000 lbs. makes it ideal for many low to mid-range capacity weighing applications. This load cell is most commonly used in platform scales but can be adapted for use in many process weighing applications. The stainless steel construction and IP67 sealing make this load cell ideal for harsh environment applications. This product is rated intrinsically safe by the Factory Mutual System (FM), making it suitable for use in potentially explosive environments.